Interview with a Zinester: Kesheena! Kesheena of Going Places zine has our hearts for the next interview. Check it out! 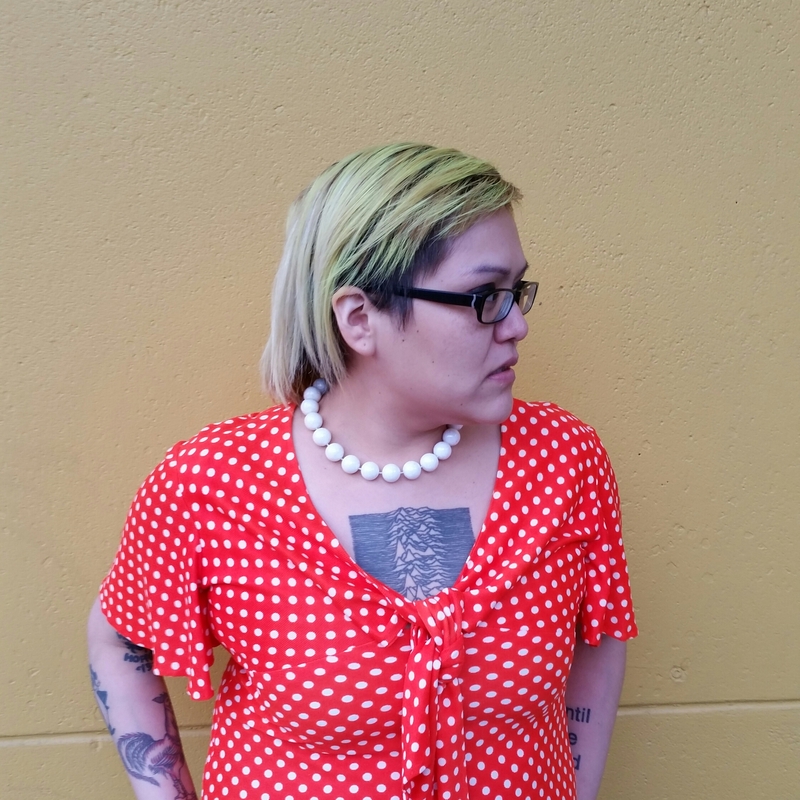 Kesheena, wearing tattoos, a white bead necklace, and a red shirt with white polka dots, looks to the right. I write an on-going zine, entitled Going Places, that focuses on my life as a Navajo punk, Native American diaspora, and other self-interests. I hope that with my zine, I can break down stereotypes about what a Native American is supposed to be and also encourage other Natives to express themselves. My older brother had a bunch of issues of CHAOS, a local punk zine lying around the house, and I started reading them when I got into punk. I bought my first zine at 13 at my second or third show and things took off from there. I got addicted to zines and have been reading them ever since. I think my favorite’s are Alex Wrekk’s Brainscan and Dave Roche’s On Subbing, though I also have to give a huge shoutout to WOC Zine group in Portland who inspired me to start making zines. Feminist zine-making would articulate the saying, “the personal is political.” Though I don’t necessarily consider my work feminist, I think there are many elements that would make it feminist. I like per-zine’s the most, but honestly I enjoy any zine style. Every zine I’ve read has given me something. I can’t wait to see all the zinesters. This is my first zine fest outside of Portland and my first zine fest where I’m tabling at. Previous Previous post: Interview with a Zinester: The Wheelhouse!